We are hosting a giveaway for some of Cruz Del Sur Music’s latest releases. Check it out here. We take a trip through time with Death Angel’s “Seemingly Endless Time” video. Sweden’s In Solitude are sure to make a significant dent with their third album, Sister. Here to tell us about it was singer Pelle Ahman. Supergroup? What supergroup? So asks Twilight of the Gods frontman Alan Averill. Eric Peterson of Testament talks to DR about the band’s new Dark Roots of Thrash DVD, touring, and future album plans. Canadian death metal champs Kataklysm return with another ferocious, yet engaging platter in the form of Waiting for the End to Come. 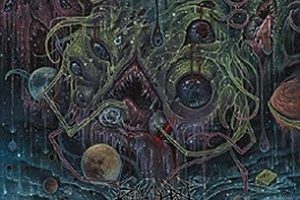 California thrashers Warbringer make considerable strides on their fourth album, IV: Empires Collapse. Swedish occult rock/metal upstarts Noctum show us how it’s done on their Final Sacrifice sophomore effort. All this talent and Oblivion disappoints on their Called to Rise debut. Paradise Lost dig into the vaults for Tragic Illusions 25 (The Rarities). Man Must Die’s Peace Was Never An Option is deemed as “colossal” by our own Matthew Bowling. Here’s the oddball pick of the week (and year): LowCityRain’s irresistible self-titled debut, a total throwback to 80’s new wave. Skeletonwitch keep the thrash momentum going with their fourth album, Serpents Unleashed. 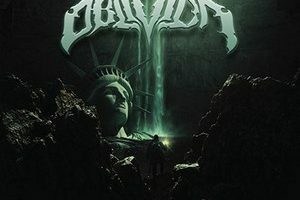 Castevet keep North American black metal alive with Obsian. Icelandic black metal crew Carpe Noctem weave an avant-garde spell on In Terra Profugis. 1. Ensiferum releases their own drinking horn. 2. Blind Guardian provides band update. 5. 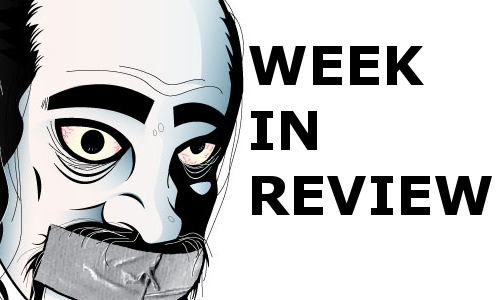 Red Fang streams their new album Whales and Leeches in full. 8. Iron Maiden’s “Trooper” beer passes the one-million sales mark. 9. Former Black Sabbath drummer Bill Ward undergoes surgery. 10. Dark Fortress starts work on new album. Cruz Del Sur Music 4-CD Giveaway!